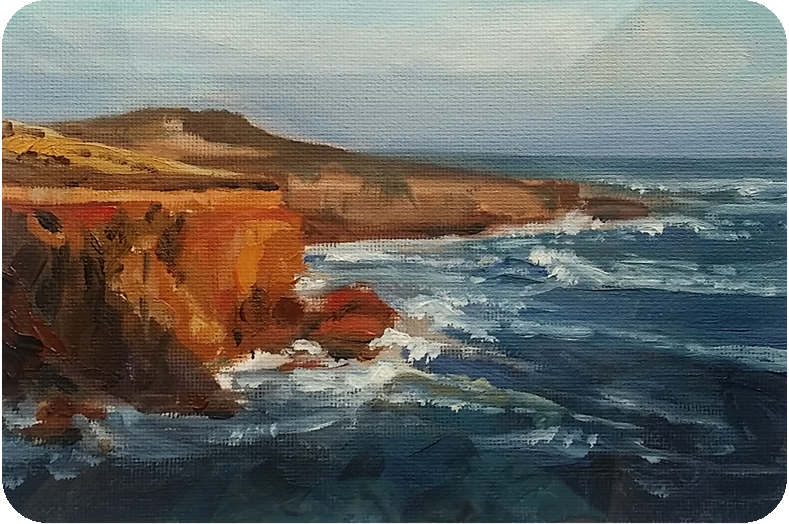 What is the value of the Hope: From Robe to Riches Art Exhibition? The following article was first published by The Australian & Decorative Fine Arts Societies, Yarra News, Winter 2018, Vol. 29 No. 2. Based on a speech made at the launch at The Victorian Artists Society. This exhibition tells the story of the journey of Mei Ling a 19 year old Chinese woman who traveled from Southern China to the goldfields of Victoria in Australia in 1857. Each painting in the exhibition depicts a scene of significance for Mei Ling and the 14,000 others who walked 440 kilometers across an unforgiving, alien Australian landscape to find a better life. This is also a story about the founding of Ararat and death on the Goldfields. 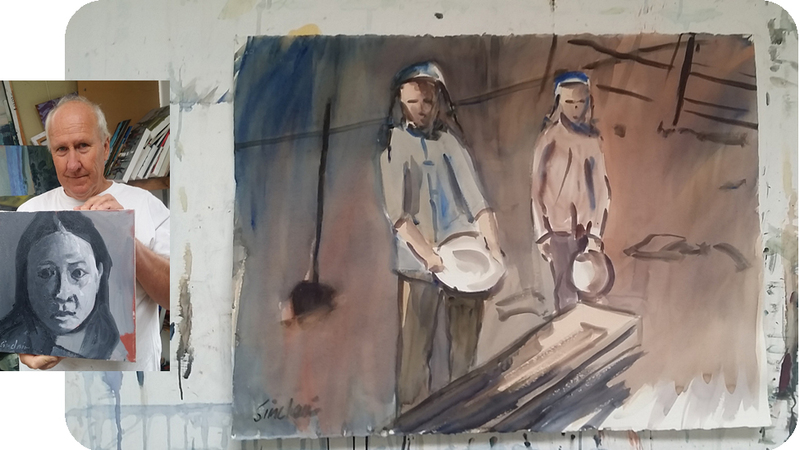 We have created this PaintStory to tell this hidden part of Victorian history and to raise awareness of what it is like to be a stranger in a strange land. A PaintStory is a story told in paintings. The artists work to a script. And the script evolves as we interact with people in the field. 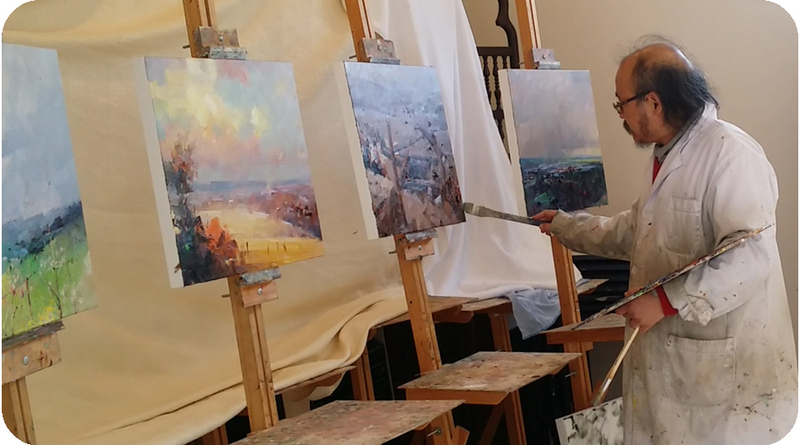 A core part of this PaintStory process is the artist being willing to paint en plein air—to go out and paint in the community—and to share their work as it progresses, on social media. This going out and sharing; creates the feedback loop that allows us to find and develop the stories worth telling. People know that artists are good at looking, but in this type of project an artist must also be good at listening and responding to feedback. What is the value of this collection? This exhibition is a milestone in a story that began in May 2016. This is not the end of this story. We will add to it over time and send the exhibition on tour around Australia and eventually to China. And in this way it will become everlasting. In all there are seven episodes to this story. We started painting before we knew the ending. 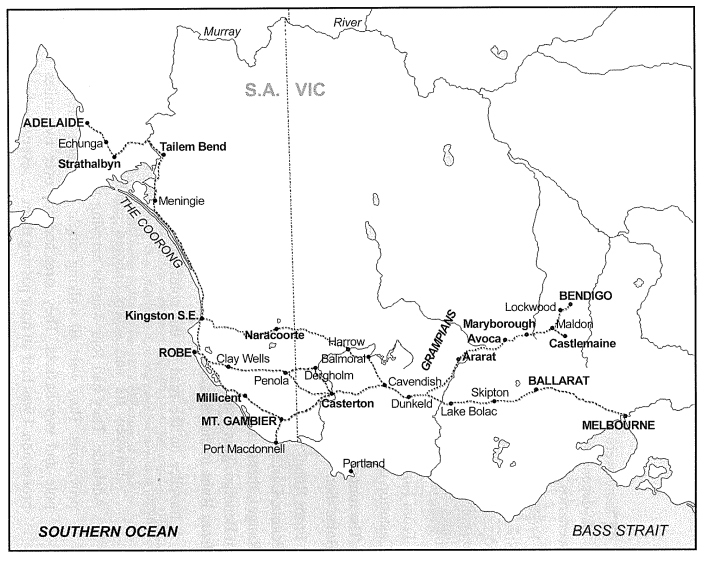 Like the miners we went to Robe, Beachport, Claywells, Penola, the border, Edenhope, Casterton, Sandford, Hamilton, Coleraine, Wando Bridge, Dunkeld, The Grampians, Mt Abrupt, Norval, Cathcart, Ararat, Bendigo and Ballarat. A PaintStory, we have found, is a valuable way to get people involved in a social enterprise. In this case, the revelation of hidden historic events and restoration of ethical treatment of migrants and visitors. Publishing this content on social media helped us to show people in the early days how committed we were to the project. I noticed that people’s interest was greatly enhanced when they saw live activity like this. 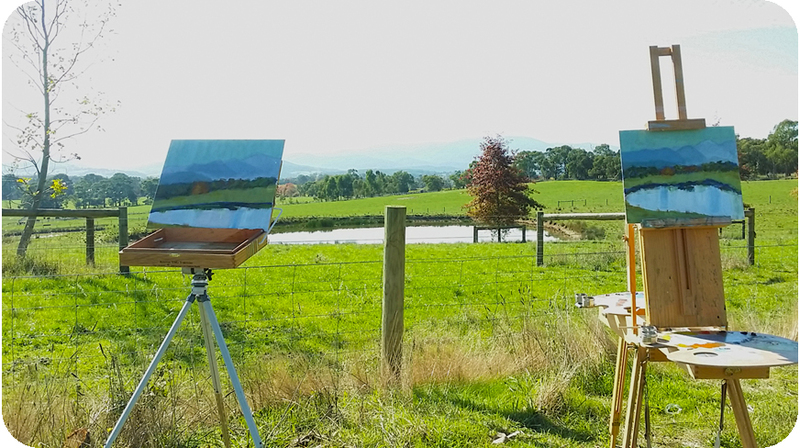 There is something about setting up an easel and painting en plein air that gets people curious, then fascinated, then involved. As we painted, we listened. Tale by tale the storyline developed, the scripts written, and each new YouTube episode went up. 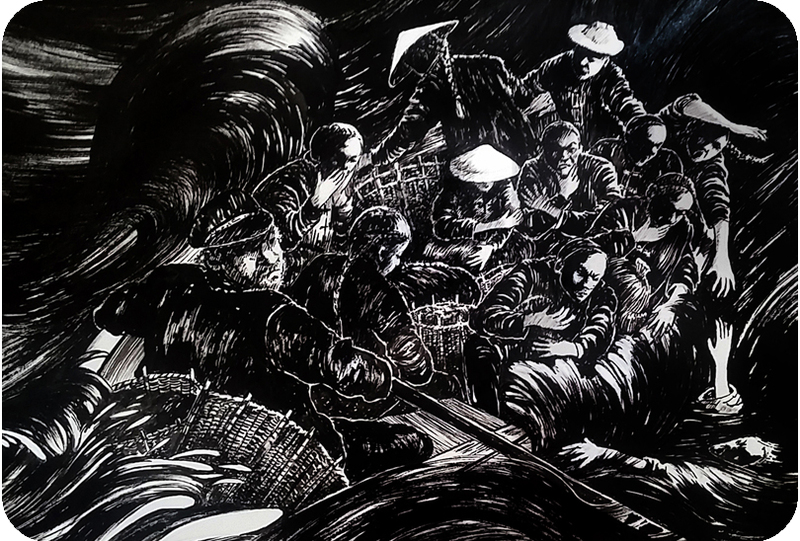 This image, painted by Gwendoline Krumins really illustrates what it would have been like to have to swim to shore with all your belongings tied to a bamboo pole. When Gwen showed this drawing to us at our second artist pow wow, we realised we could use our skills to create strong feelings of empathy. Some stories we heard were shocking. Told by people who did not want to go on the actual record. In case it lead to legal actions. For example: this image, painted by Norma Sullivan, depicts miners being stuffed into barrels and dumped in the bush, instead of being delivered safely across the border. This tale was told by a lady in her early nineties. She is the descendent of a bullocky who actually did this terrible thing. She would not tell her name. By telling this story, it seemed like she was airing a generational wound to relieve her soul. 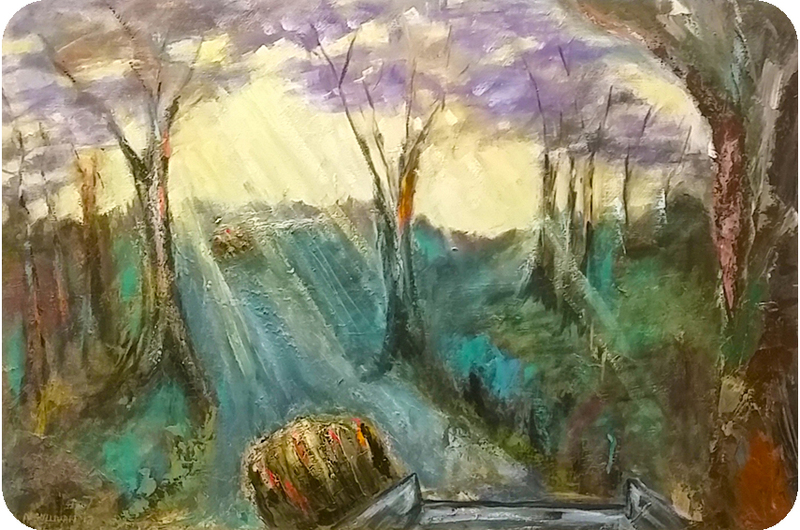 The first time I saw Hugh Foster’s Around the Campfire, I was transported to a place that nothing but a painting could depict. A camera, you will know, cannot capture the subtle tones in a night time lighting situation. Nor can it in any way convey the warmth of that gathering. SLIDE 7: Clive Sinclair with portrait of Mei Ling and Panning for Gold. One day, halfway into the project I interviewed Clive Sinclair. He told me what he thought it would be like to pan for gold. Clive imagined how a boy of 15 might feel after a long arduous day of work. Digging, bending over. Lifting the pan. But mainly being homesick. Thousands of miles from home. How lonely he would be. Can you imagine how worried a parent would be for a child in this situation? You can hear that interview if you visit our Hope From Robe to Riches YouTube site (see:https://goo.gl/lkQJ9M). 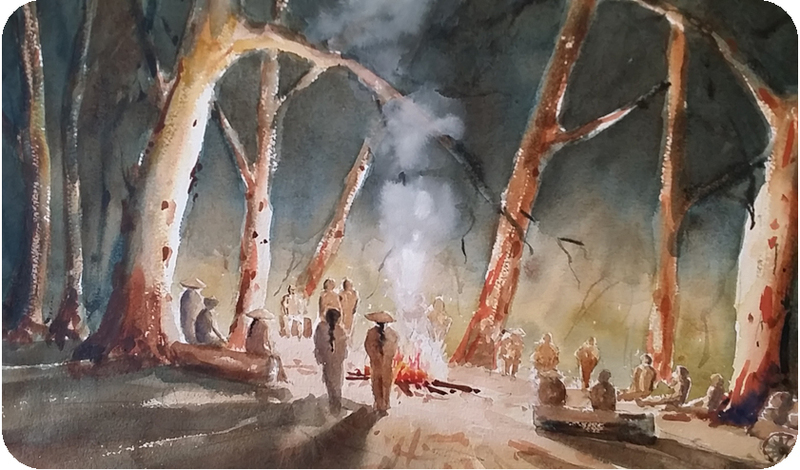 David Chen’s paintings show the cultural significance of events on the goldfields. Using colour, tone and symbolism to bring alive the meaning of the experiences to the Chinese community. These are real stories. That form the fabric of our community. The beginnings of Victoria. And what it means to be Victorian. We may drive around these regions and look at these scenes and cannot know what other eyes have seen. But artists such as David and the rest can help you understand.